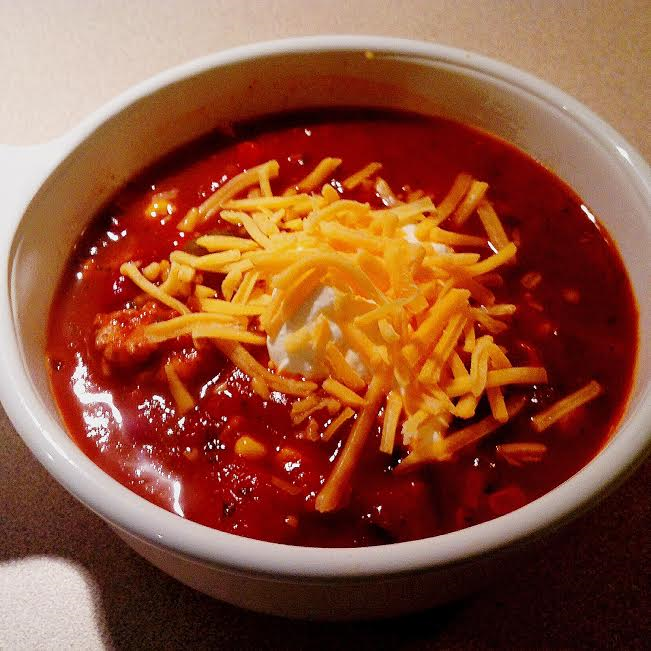 Today I’m going to share a favorite cold weather recipe that is perfect for those fall or winter months, chili. Chili is a great go to meal when the temperature drops. It’s a simple meal to prepare for a group of friends, family, or a nice meal for you and your hubby. Typically, chili recipes make a ton of food, so it’s a great leftover dish too! I’ve tried multiple chili recipes, but I love this one! I found this online (sorry, I don’t remember where), but I added and changed some of the ingredients. I think it’s soooo yummy! Cook the ground meat (you can use beef or turkey) over medium heat in a large skillet until there is no pink. Put cooked ground meat in a bowl and drain the excess grease from the skillet. Add a few drops of olive oil to the skillet and heat over medium heat. Add the garlic, onion, green pepper, parsley, and corn (drain corn from can prior to adding to skillet). Cook for about 5 minutes, stirring occasionally, until pepper and onion is soft. Add cumin, chili powder, salt, pepper, sugar, oregano, and cayenne pepper to the veggies and stir until veggies and seasonings are mixed well. Transfer cooked ground meat and seasoned veggies into a large pot. Bring to a boil over medium-high and reduce to medium-low and cook for 2 hours. Yum! I enjoy my chili with a spoonful of sour cream and shredded cheese. My hubby likes his with a ton of shredded cheese and warm, fresh bread. No matter how you like your chili, this recipe is delicious! It makes about 12 servings, and when making this last weekend, I used a red onion and 2 ears of corn instead of can corn. It still turned out amazing, and the leftovers were even better! 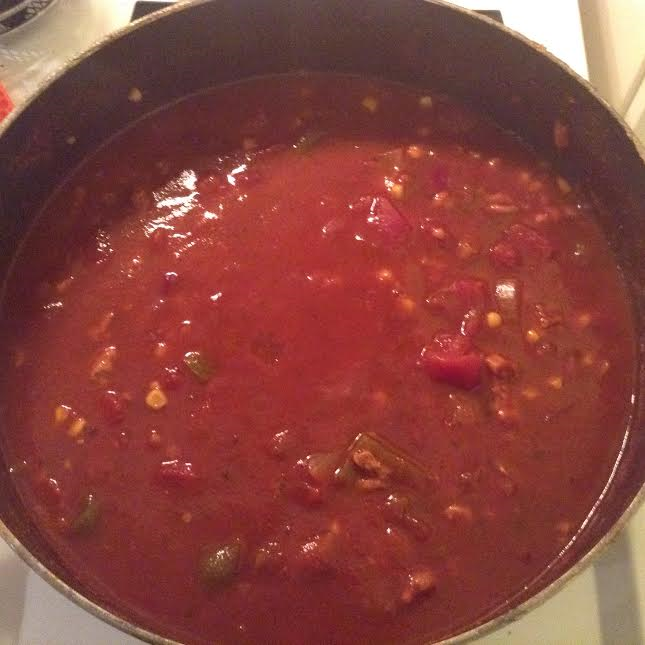 Feel free to share your favorite chili recipe below in the comment section!